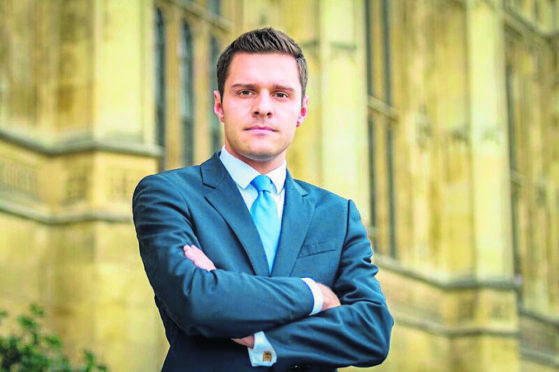 Aberdeen South MP Ross Thomson made headlines across the country following allegations – which he says are “completely false” – that he had sexually touched men at the Stranger’s Bar in Westminster on Tuesday evening. Officers from the Metropolitan Police were called to the bar on the parliamentary estate at about 11pm on Tuesday, following an incident involving three men in their 20s and 30s. However, no complaints were made, and no charges were brought, and Mr Thomson has dismissed reports of any wrongdoing on his part. Last week Mr Thomson, 31, took to social media to dismiss the allegations, and announced that he was referring himself to the Conservative party’s disciplinary panel. And over this weekend, following a complaint against Mr Thomson by a Westminister researcher who was part of a group having a drink in Stranger’s Bar at the time of the alleged incident, Mr Thomson has now been referred to Westminster’s standards commissioner. Mr Thomson now faces the possibility of sanctions including suspensions, compulsory training, and if the complaint is found to be particularly serious, it could be passed to the committee on standards, which can vote on the most severe of complaints – potentially leading to him being dismissed from his role. The former Conservative Aberdeen city councillor and North-East MSP said: “A series of serious allegations have been made against me that have featured in the media. A source close to Mr Thomson said that the Aberdeen South MP would cooperate fully with any inquiry.